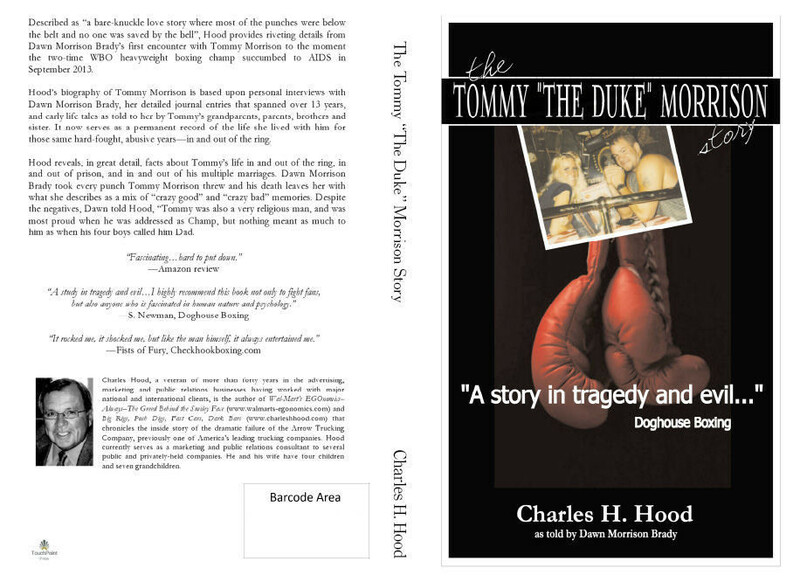 The Tommy "The Duke" Morrison Story is described as “a bare-knuckle love story where most of the punches were below the belt, and no one was saved by the bell” depicting details from Dawn Morrison Brady’s first encounter with Tommy Morrison to the moment the two-time WBO heavyweight boxing champ succumbed to AIDS in September 2013. Hood’s biography of Tommy Morrison is based on personal interviews with Dawn Morrison Brady, her detailed journal entries than spanned over 13 years, and early life tales as told to her by Tommy’s grandparents, parents, brothers, and sister. It now serves as a permanent record of the life she lived with him for those same hard-fought, abusive years—in and out of the ring. The Tommy “The Duke” Morrison Story reveals, in great detail, details about Tommy’s life in and out of the ring, in and out of prison, and in and out of his multiple marriages. Dawn Morrison Brady took every punch Tommy Morrison had and his death leaves her with what she describes as a mix of “crazy good” and “crazy bad” memories. Despite the negatives, Dawn told Hood, “Tommy was also a very religious man, and was most proud when he was addressed as Champ, but nothing meant as much to him as when his four boys called him Dad.